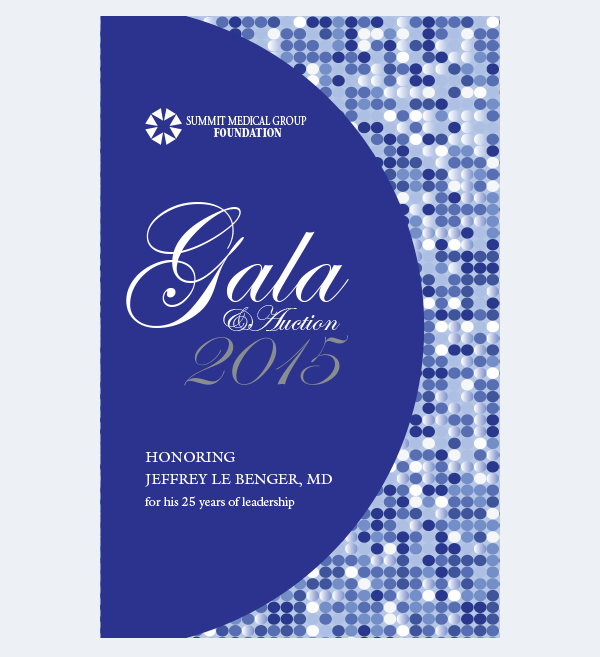 The gala sponsored by the Summit Medical Group Foundation is a yearly event. 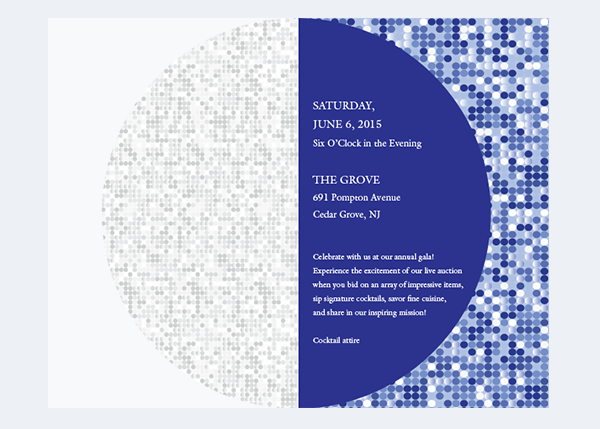 I created the inaugural set of designs for the event and uplifted the standard of design to a new level. The event needed both a medical and festive feel. The blue dot pattern suggested science, but in a festive way. The pieces included here are the invitation (which was 8 pages with a die cut cover), the web banners, and printed banners. I also designed a save-the-date, a kick-off party invite, a journal, an auction booklet with forms and online pieces for the auction, and a step and repeat backdrop for photography on the night of the event.